A blusterer who owed much to his wife. 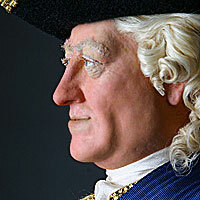 George Augustus was King of Great Britain and Ireland from 1727 until his death. 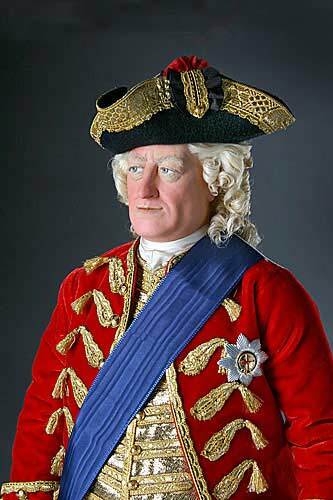 He was the second Hanoverian to rule and the last British monarch born outside of Great Britain. 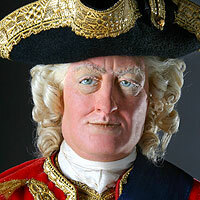 He was the last British monarch to personally lead his troops into battle in 1743. 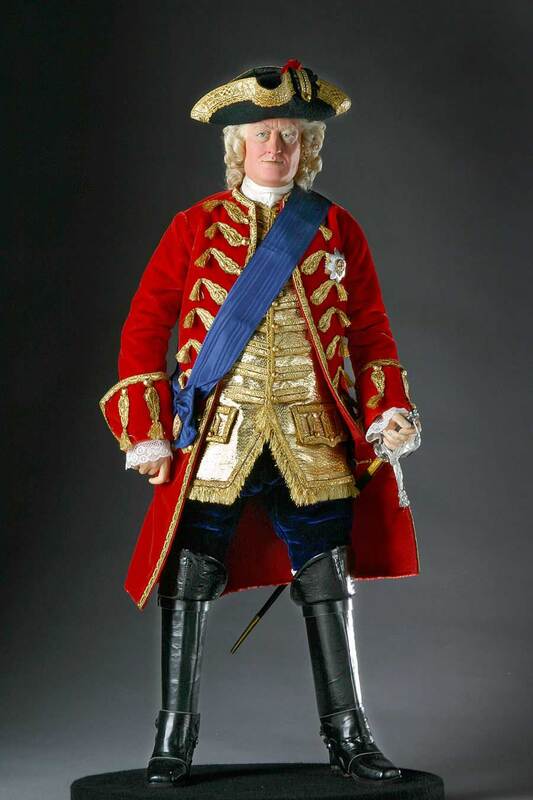 Continual conflict between fathers and sons were common in the Hanoverian Dynasty. His relationship with his wife Caroline of Anspach was much better, despite his numerous mistresses. George II exercised little control over policy during his early reign, the government instead being controlled by Great Britain's first (unofficial) "Prime Minister", Sir Robert Walpole with the Queen’s support.